The Sabres are set to start training camp in a few weeks. 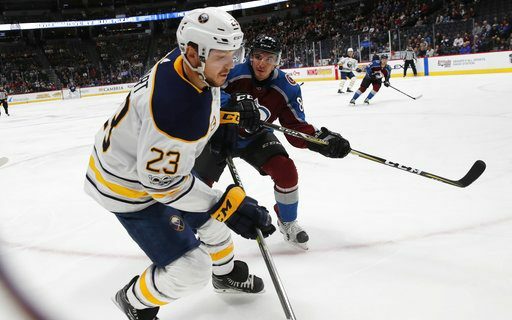 One big offseason situation has not been addressed: A new contract for restricted free agent Sam Reinhart. Sports humorist Jeff Wozer has discovered some of the reasons why the negotiations have stalled. • Tuesday night games conflict with his Transit Lanes bowling league. • Terry and Kim Pegula too distracted with securing a minor league affiliate for the Buffalo Beauts – the Rochester Cutes. • After every home game Reinhart tired of having “Sabre Dance” stuck in his head. • Sabres won’t budge on signing bonus offer of a $50 Applebee’s gift card. • For the team’s next parents trip Sabres won’t allow him to instead take his imaginary friend Larry. • Reinhart angry Canalside is building a Children’s Museum rather than a Hooters. • The Sabres $30-million incentive offer if he wins the Vezina Trophy. • Reinhart can’t get his attorney, Michael Cohen, to return his calls. • Reinhart miffed that Bud Bailey never considered him in his “Buffalo Sports by the Numbers” piece for jersey #23. Jeff has also uncovered why Jeff Skinner waived his no trade clause to come to Buffalo.